Fennel was a mystery to me until I married the Farmer. Sure, I had read about it in cookbooks, but I don’t think I had ever seen a fennel bulb in person until a few years after the Farmer and I had been married. Fennel can be a little intimidating, but once you learn a few easy tips on how to use it you will fall in love (or at least deep like) with it. I love when fennel is in season and I am making a big batch of my virus-killing chicken noodle soup. Here are two tutorials that go over some fennel basics and tips. These are to die for! Note: we added a bit more rhubarb (finely diced, instead of 1/2″ pieces). Also, the baking time is inaccurate; bake for at least 18-20 minutes! The flavor of these scones is out of this world! Here is what you can expect in this week’s box. (Of course, if an item is on your “No” list we will substitute accordingly). BE SURE TO RETURN YOUR EMPTY BOX (folded down) and leave it at the drop location when you pick up your new box. We have been having fun trying and posting new recipes using the items you will have in your box. We would love for you to share your recipes as well. The strawberries are in a bit of a slump. Those that have requested berries last week, I will contact you if we have them available. 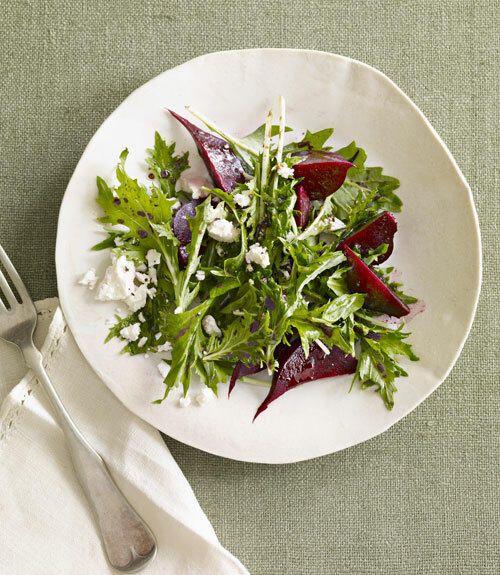 Click on the photo to open this recipe using mizuna, beets, and basil in a new tab! Click on the photo to open this article in a new tab! Click on the photo to open this vegan and gluten-free recipe in a new tab! A common substitution for nutritional yeast is parmesan cheese. You could also substitute any nuts or seeds for the pumpkin seeds or just leave them out. Happy cooking! Round two! Here is what you can expect in this week’s box. (Of course, if an item is on your “No” list we will substitute accordingly). This week you will need to bring back your empty box (folded down) and leave it at the drop location when you pick up your new box. I will be posting a few more recipes featuring some of this week’s items. Please feel free to share any recipes you have as well (email them to me, or post to our Facebook page!). IF YOU ARE INTERESTED in adding on any full flats or half flats of strawberries, email me at glorybfarms.csa@gmail.com by Tuesday at 9pm; I will add them to your order and send you an invoice. We have limited quantities available — first come, first serve! Our first delivery — DONE! If you would like to join our CSA (and haven’t already! ), check out this post; we deliver boxes weekly to drop locations in Grays River, Naselle, Long Beach and South Bend/Raymond. Click on the photo to open this recipe in a new tab!